My main research interest is Latin American Environmental History, with special attention to the interface of cities, nature and the State. Because my dissertation topic was Guanabara Bay, I am also very interested on water-related topics. I am currently working on several projects. The first - and most important - is to rewrite the dissertation into a book. And I got continuous headache over it. 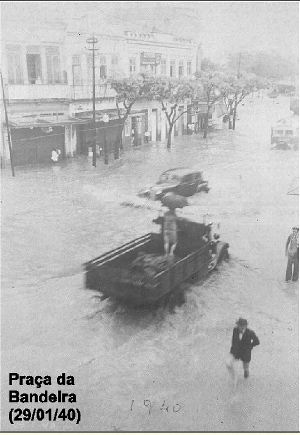 The second is an new project on the floods in Rio de Janeiro and a comparison with the Buenos Aires floods in the first half of the 20th century. I am working on it with Dr. Andrea Casa Nova and it has been a delight. A third project (now in the back burner) is a study on the personal archive of Ernani do Amaral Peixoto, focusing on his clientelist networks. My co-worker in this project is Tatiana de Paiva, and we have already presented a preliminary version of our conclusions at the 2008 RMCLAS. I also edit the Online Bibliography on Environmental History of Latin America, although it is not updated as often I would like.